Mr. B the Gentleman Rhymer, Too Many T’s and The Correspondents lit up Ryde venue Coburgs on Friday night, as organisers Galactic Ents once again provided a lively, unpredictable evening in stark contrast to much of the standard festive fare the Isle of Wight had on offer this season. 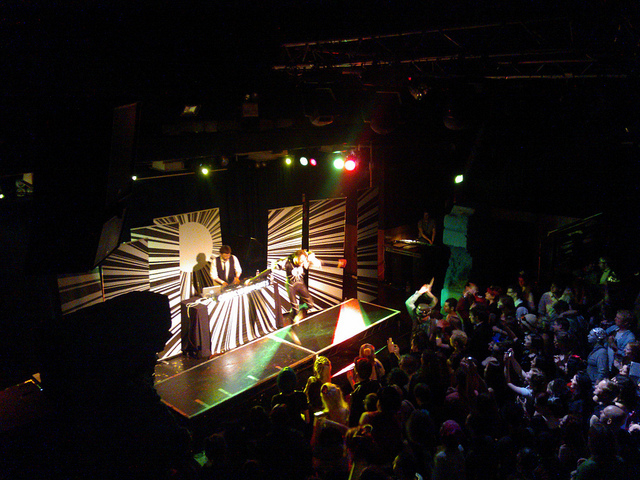 A sell-out crowd of around 300 people paid between £14 and £16 to enter Coburgs’ hallowed dwelling, and experience a night of hip-hop, electro and drum and bass from a trio of prominent UK acts. 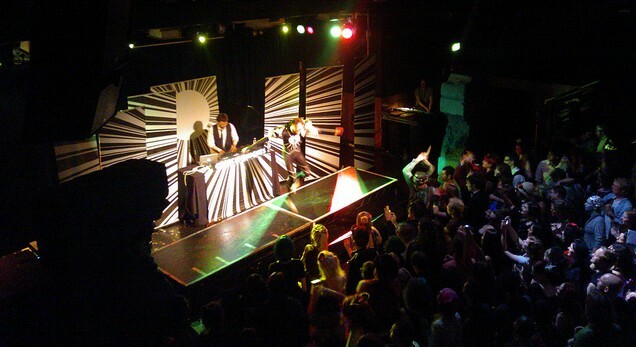 Embellishing those stellar entertainers on the bill were a host of DJs, including the maverick DJ Nipsy and dynamic Tom Headfunk, thus bequeathing ample scope for a lively audience to regain their composure between main sets. 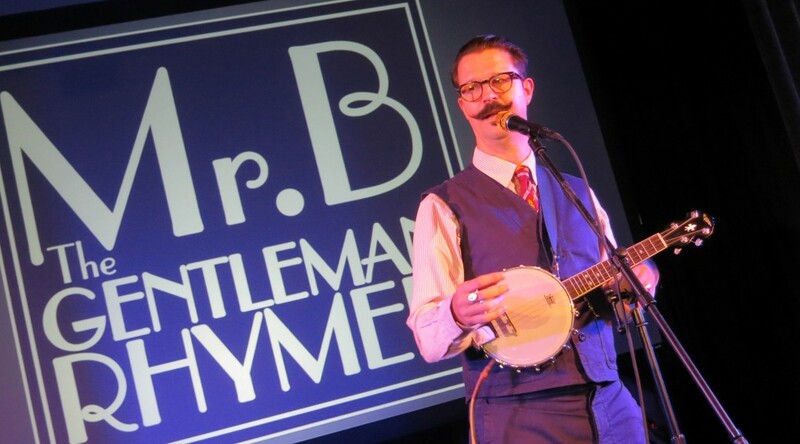 Mr. B The Gentleman Rhymer imparted idiosyncratic, banjo accompanied ‘chap-hop’ with his customary eloquent flair and periodic audience interaction, all whilst parading awe-inspiring facial furniture. The venue’s acoustics were a mite unstable at times, some diction fizzing beneath the radar due to a lack of clarity from the sound system, although it did little to derail the engaging Mr B, a riveting poet with an appealing USP. His presence ushered the first pronounced spike in decibel levels across a now packed dance floor. Leon Rhymes and Ross Standaloft, aka Too Many T’s, entered the fray with customary affable candour, and despite suffering again from sporadic doses of muffled modulation, the duo delivered a memorable production. 1992 Pt. II supplied a flavour of old school rap; a kind of amalgamation of The Pharcyde and Beastie Boys with additional pan pipes for good measure. There’s a reason why a myriad of festival promoters are so keen to book and re-book Too Many T’s. Consummate pro’s, veering from a generation of hip-hop stereotypes (no Flava Flav indulgence needed to embellish their verbal skills) they were more than happy to mingle with an appreciative fan base post-set. Headlining the event with customary wanderlust were The Correspondents, sharing tracks from their March, 2014 debut LP Puppets Loosely Strung, as well as hits from previous EP releases. The undoubted highlight of the night, this was a master stroke of booking from head-promoter Oli Whitehurst, who was keen to dispel any lingering myths created by the salacious, distorted headlines his promotions’ 2013 Christmas gig received via an antiquated section of local media. A cocktail of pure theatre, unbound melodies and breezy vocals ensured that the one hour set received unadulterated adoration from a now fervent auditorium. Seminal track Washington Square went down a treat, the irksomely addictive Fear and Delight had starry-eyed spectators going berserk, while a stage dive from the band’s eminently charismatic and sweat sodden front man Ian Bruce went without a hitch. A notable painter, Bruce is a virtual renaissance who left an indelible impression upon Glastonbury Festival audiences, organisers and fellow musicians during the summer of 2014. 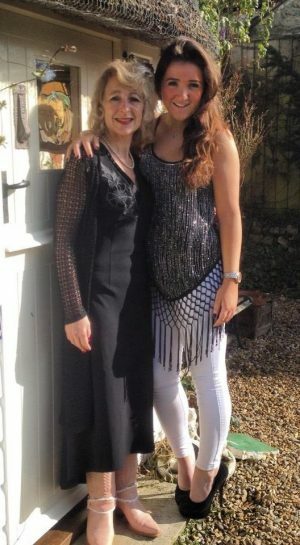 This was a high-stakes triumph of endeavour for Galactic Ents, who were able to attract a trio of top tier talents to the Isle of Wight, perhaps even more notable was the sell-out status of the occasion, with festivities sustained long into the wee hours. 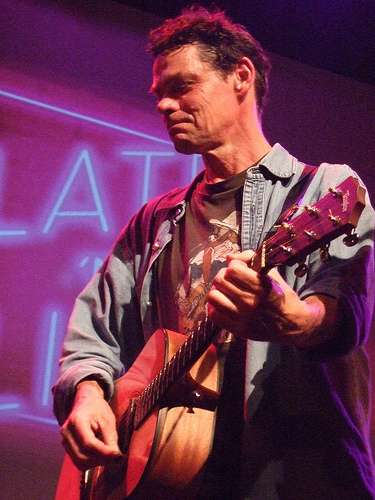 In the final of our Ventnor Arts Festival reviews, Dom Kureen shares his opinion of American comedian Rich Hall’s sold out marquee stage performance. Devotees lined up beyond eyeshot of the entrance, serving as merited recognition for one of America’s most enduringly popular comedic exports of recent years. 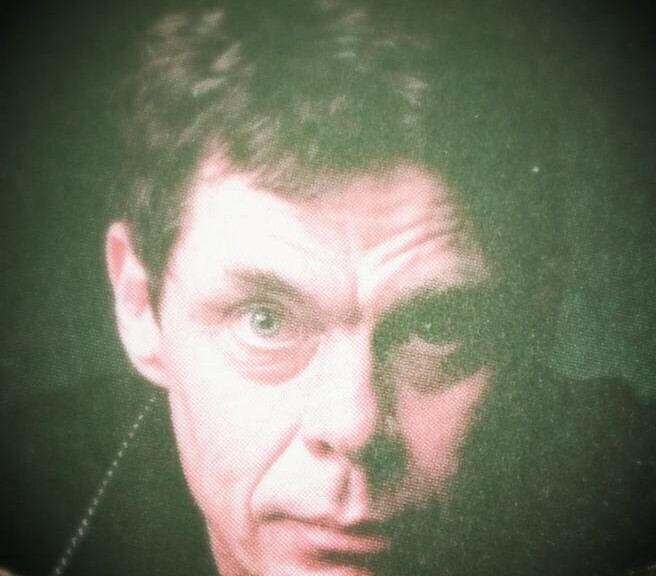 The dry, caustic wit of Rich Hall, a humorist synonymous with English panel shows such as ‘Q.I’ and ‘Eight Out of Ten Cats,’ was immediately evident amid an opening broadside at cheese manufacturers Kraft and their hostile takeover of Cadbury. Some tongue-in-cheek contrasts between British and American customs were followed by an uproarious skit relating to the trials and tribulations of the world’s greatest trampolinist, Alexandre Moskalenko, who, despite years of dedicated endeavour, still probably doesn’t get noticed in his own neighbourhood. Encouraging audience participation, Hall chatted to ‘Andy,’ a rose grafter (no, me neither) whose story warranted an ad-libbed ditty, replete with catchy guitar riff. That breakneck train of thought proved a pivotal weapon in the armoury, with some other members of the front row less forthcoming when spoken to, although a couple of the on-the-spot compositions admittedly fell a little flat. 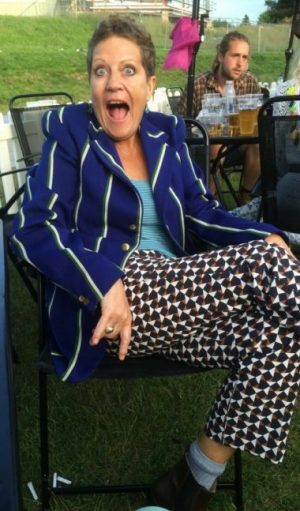 The variety and authentic warmth of the comedian’s act should guarantee that no two shows are quite the same on this latest sojourn across the British Isles. More valuably, Hall’s impish aura, which never broached guttural, indicated that there was enough edgy material in reserve to keep things diverse. A highly amusing parody of a modern day Bob Dylan concert wrapped up his Isle of Wight leg of the tour agreeably, with bounteous guffaws emanating from all corners of the temporarily erected canopy. 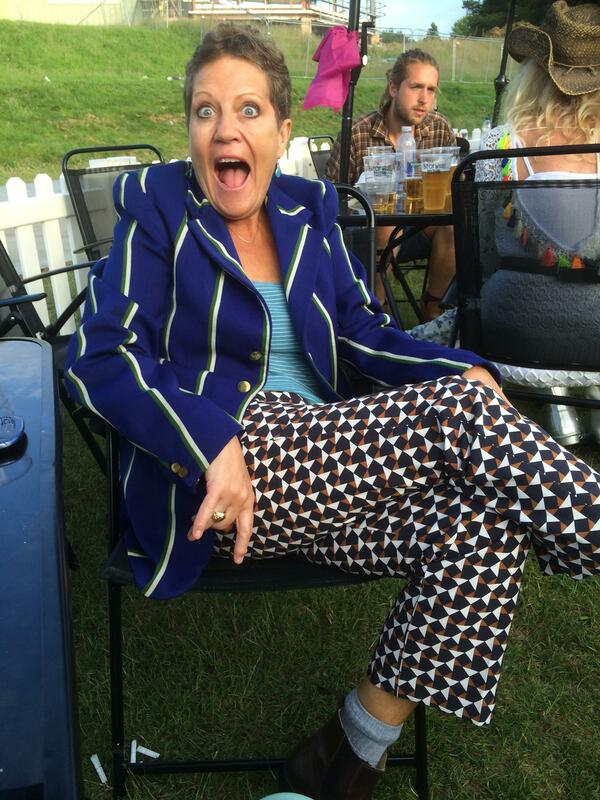 The £16 admission fee was a bargain for a terrific night of comedy. 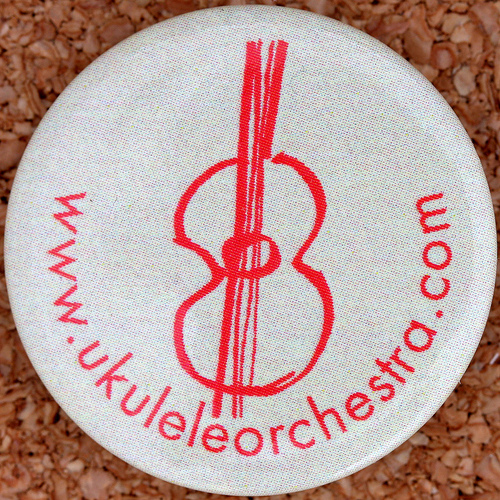 Dom Kureen was kindly allowed a press pass for the recent Ventnor Arts Festival – On Sunday the Ukulele Orchestra of Great Britain hit the strip. 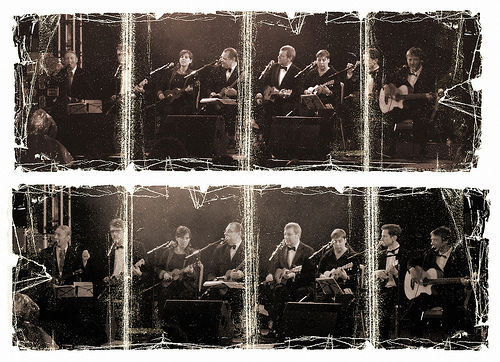 Corny gags and jaunty cover versions were abundant, as the Ukulele Orchestra of Great Britain serenaded a sold out Ventnor Arts Festival marquee on Sunday evening. The 8-piece ensemble, now in their 30th year of live performances, entered the fray composed of seven ukulele practitioners and a single bassist, a set-up consistent since 2005. In a move that added instant lustre to proceedings, the half a dozen male members took to the stage adorned in black-tie attire, with the two female acts in chic evening dress. The stimulating nimble ‘Hollywood,’ based on Richard A. Whiting’s 1937 ‘Hollywood Hotel’ soundtrack, got things off to a flyer and was played in tribute to Marilyn Monroe. Shifting gears, a startling cabaret depiction of Prince’s 1980’s boudoir tour de force, ‘Kiss’ gave the first hints of a tongue-in-cheek theme that ran for the show’s duration. ‘Get Lucky’ was given a new lease of life, despite the Daft Punk/Pharell Williams collaboration having already spawned several dozen increasingly naff covers. This effort bypassed the stigma of cliché with a fresh glaze of silliness, including a host of animal noises and on-stage shape cutting. 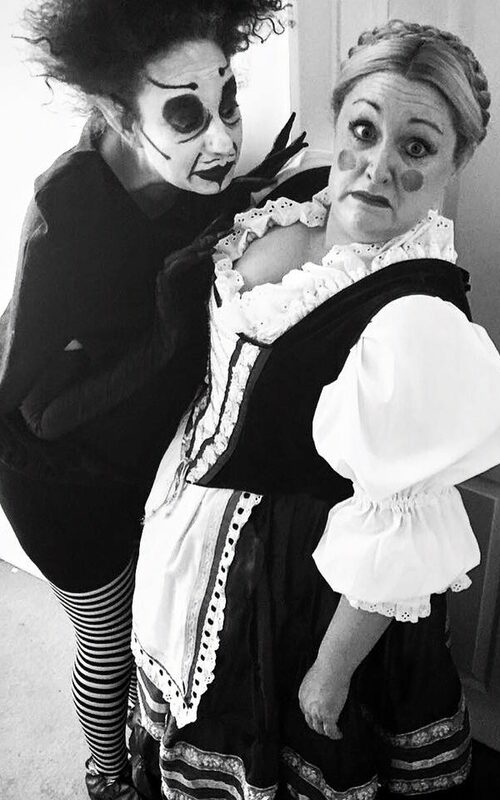 Missing the mark, a parody of Kate Bush’s ‘Wuthering Heights’ became painstakingly hokey in parts and a couple of overly rehearsed gags played out to a handful of reticent courtesy chuckles. Thankfully, the purity of ‘Dancing Barefoot’ got things back on track, capturing the spirit of Patti Smith’s canticle without breaking stride. The engaging ’32 Bar Blues’ and convivial ‘Should I Stay or Should I go’ provided a buoyant close to the gaiety, with the string octet receiving not one, but two lengthy standing ovations. 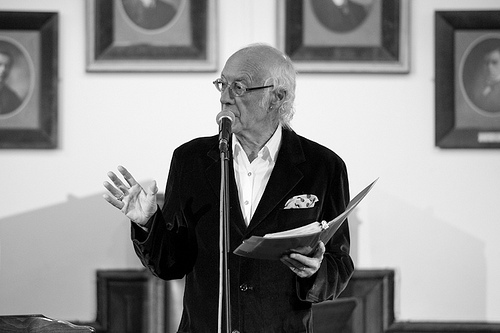 Roger McGough strode to the podium of the marquee stage like a contented Yogi after an extended meditation session, his entrance theme a rapturous cacophony of enthused applause and sporadic yelping. 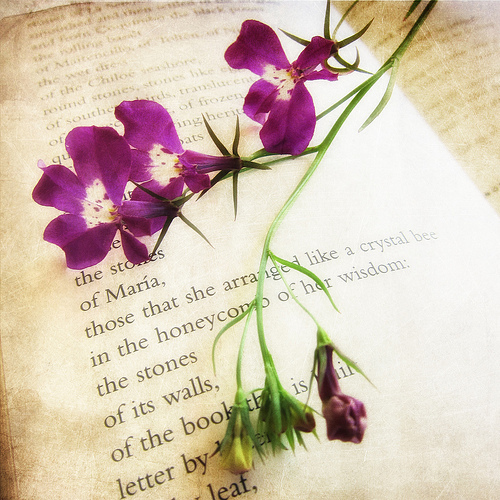 The bar was set high before a syllable had been uttered, although this kind of reception is nothing outlandish for one of Britain’s most revered wordsmiths, following almost half a century of articulate ode. Time has only supplemented the poignancy of McGough’s sentiments – ‘A cure for aging’ and ‘A good age’ both revealed his personal introspections regarding the anxious inevitability of getting older, whilst ‘Let me die a young man’s death’ provocatively jabbed at the futility of a peaceful passing. Large sections of the show resonated with a predominantly sexa-octogenarian demographic that ushered the venue’s attendance towards it’s 400-seat capacity. Signing on: The poet was happy to sign autographs after the show. 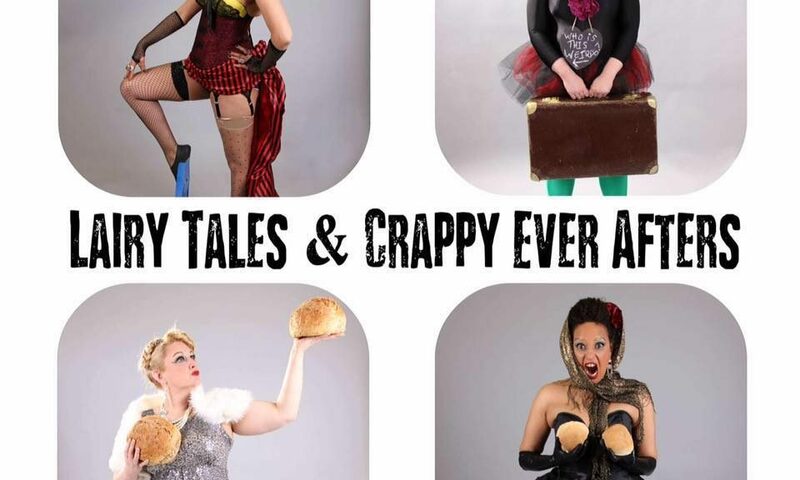 Tributes to Charlie Chaplin, Carol Ann Duffy and Enid Blyton ensured that tolls were paid and heroes respected in a one hour set that served as a ‘greatest hits’ composite for a leading light of the spoken word genre. 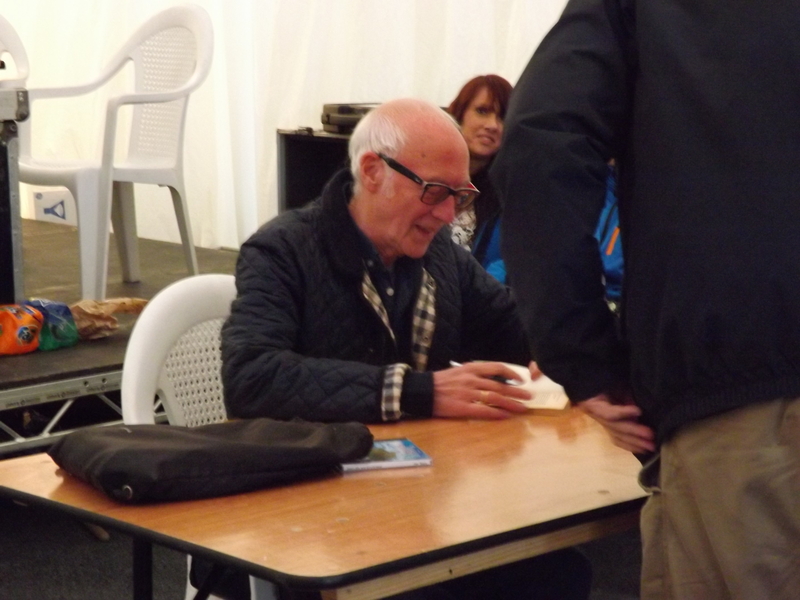 The pacing of the gig might not have been to everyone’s taste, but the fact that the post-show book signing was halted prematurely due to all works of literature selling out was testament to the enduring popularity of the 76-year old. Even after that, the author continued to sign scrap pieces of paper, ticket stubs, crisp packets and whatever else people could dig out to be inscribed, McGough seemingly having the time of his life throughout. 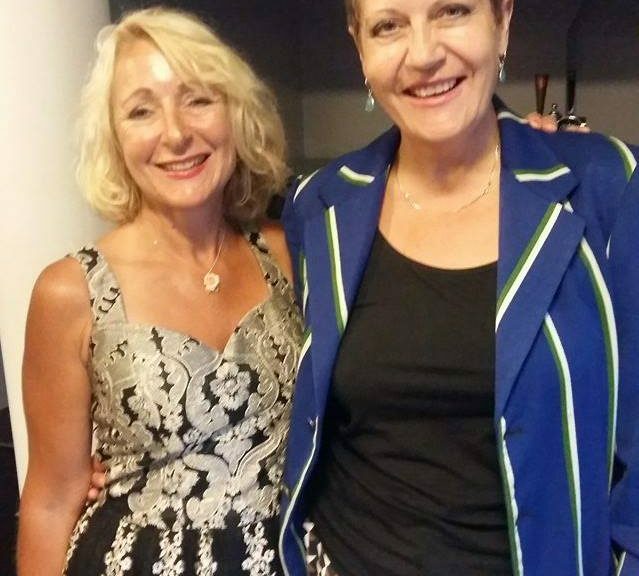 Dom Kureen was at the Ventnor Arts Festival last weekend to check out a host of performances – on Saturday he was present to witness Ayanna Witter-Johnson in action at Ventnor Arts Club. Perhaps the most engaging act at this year’s Isle of Arts festival came courtesy of one of least assuming of all the venues utilised. 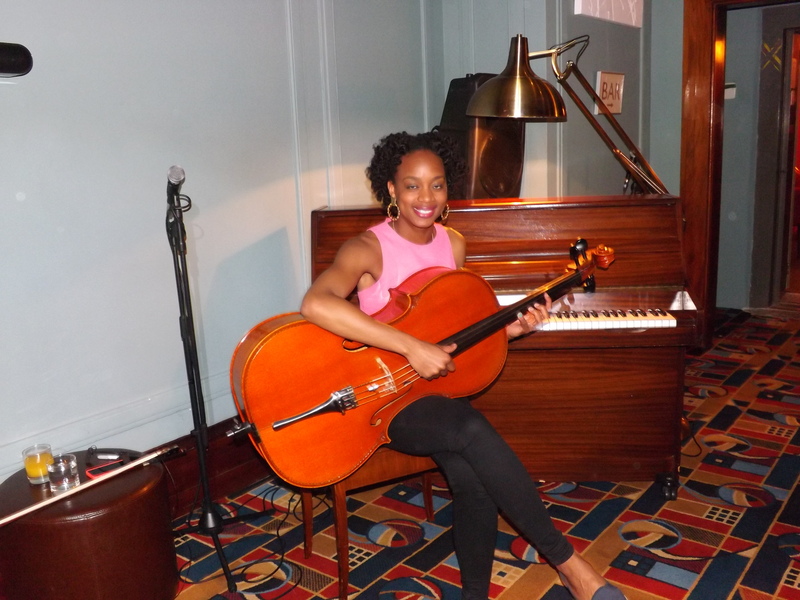 Charming and buzzing with bright-eyed vitality, 28 year-old cellist, pianist and singer, Ayanna Witter-Johnson, was an unlikely fit for the Ventnor Arts Club, with its dim lighting and lounge session ambience. 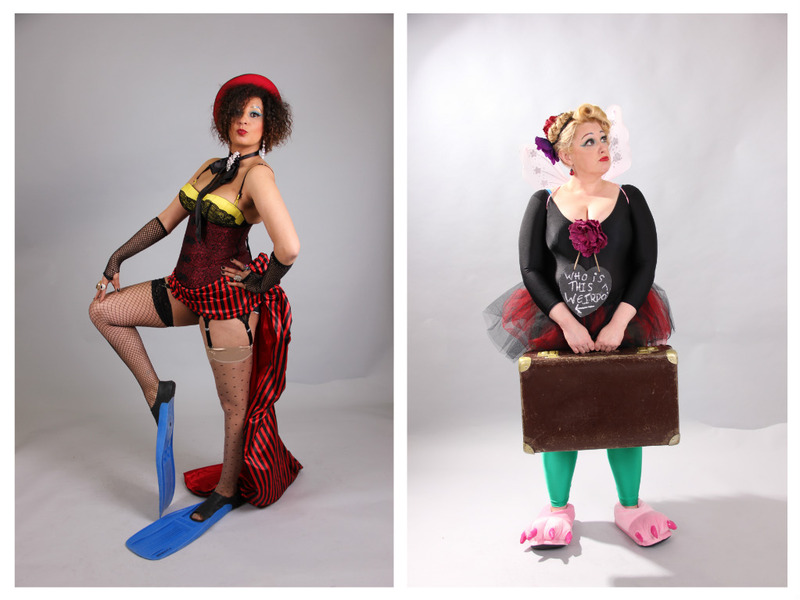 Paradoxically the two unlikely worlds meshed exquisitely, like shiny new shoes gracing worn out feet, with the artist making her second Isle of Wight stopover within 9 months, following an appearance last August at Ventnor Fringe. 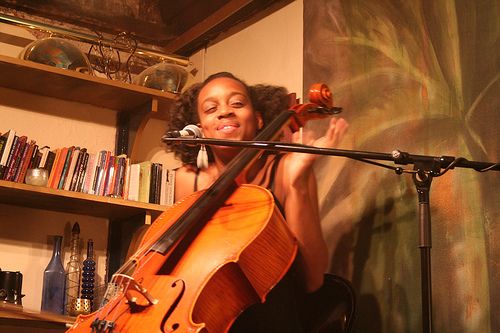 Opening her 70-minute set with a serene translation of Bill Withers’ “Grandma’s Hands” was a bold move that instantly presented an unaffected vocal capacity, with the eager cello, named ‘Reuben’ for reasons never divulged, gathering vigour as the melody progressed. 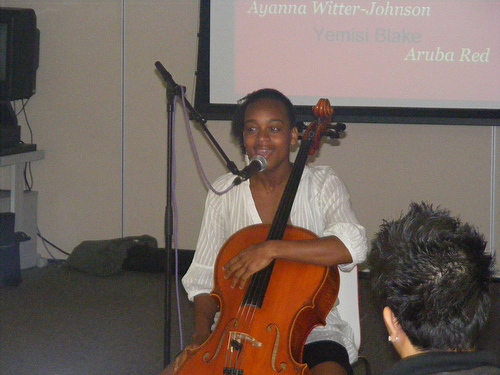 The woman behind the cello: Ayanna Witter-Johnson hasn’t ruled out a return to the Isle of Wight in the near-future. ‘Flowers’ yielded a leisurely, comfortable composition that insinuated deep-rooted compassion, without ever threatening to trigger much emotion from listeners. The issue here was a disconnect between entertainer and audience, caused by the piano’s situation necessitating a Miles Davis-esque cold shoulder, with Ayanna now facing away from her admirers. The calibre of the music on offer remained indisputably excellent despite that minor blip, with the moving ‘Ain’t I a woman’ suggesting shades of a post-Fugees, pre-exile Lauren Hill. The tender grazing of Reuben’s strings created a captivating contrast with the potent verbal delivery. The highest spots were reserved for the second stanza, with a positively haunting take on The Police’s ‘Roxanne’ and the seductive ‘Unconditional’. The former’s inaugural sequence was so unapologetically melancholic, that it was easy to temporarily forget the original existed at all. It soon matured into a goose bump inducing, chilling ride that needs to be heard live in these reverberating acoustics to be fully appreciated. Ayanna was kind enough to pose with Reuben for a few snaps! 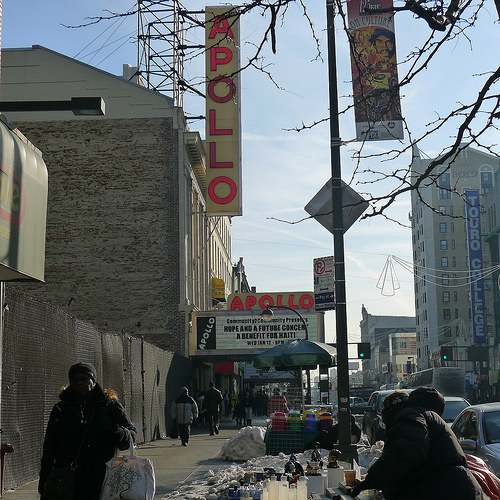 Expect grand things from a young musician who graduated with honours from the Manhattan School of Music, subsequently winning the illustrious Amateur Night Live at Harlem’s esteemed Apollo Theatre, to follow in the footsteps of luminaries such as Michael Jackson and Ella Fitzgerald. Comfortable in Ventnor’s diminutive venue, Ayanna will undoubtedly continue to blossom on the exalted stages she’s destined to grace. Dom Kureen spent the weekend at Ventnor Arts Festival taking in the sights, smells and sounds. 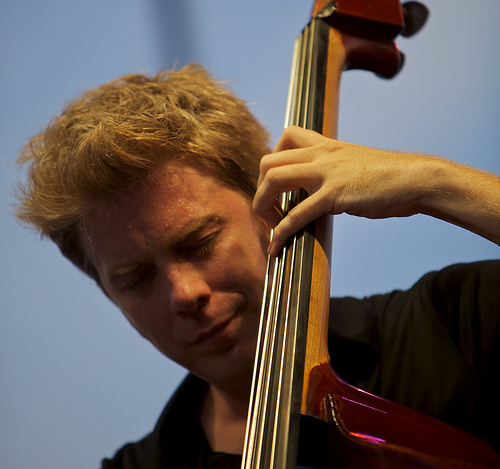 On Friday night it was all about jazz, as Kyle Eastwood rode into town! 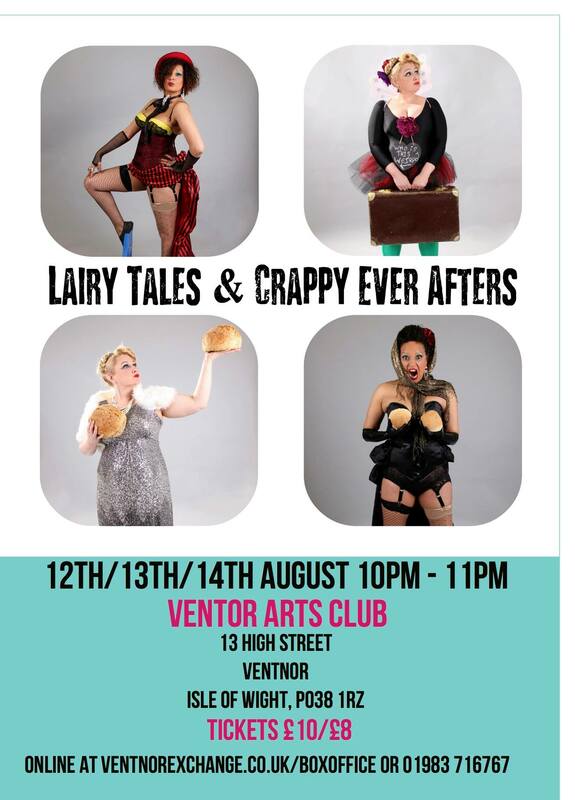 A fresh bouquet of Merlot and atmospheric, sooty glaze in the air ensured that Ventnor Arts Festival’s marquee stage momentarily drew parallels with Ronnie Scott’s jazz club in London during it’s mid-1970’s, Ella Fitzgerald fuelled pomp. 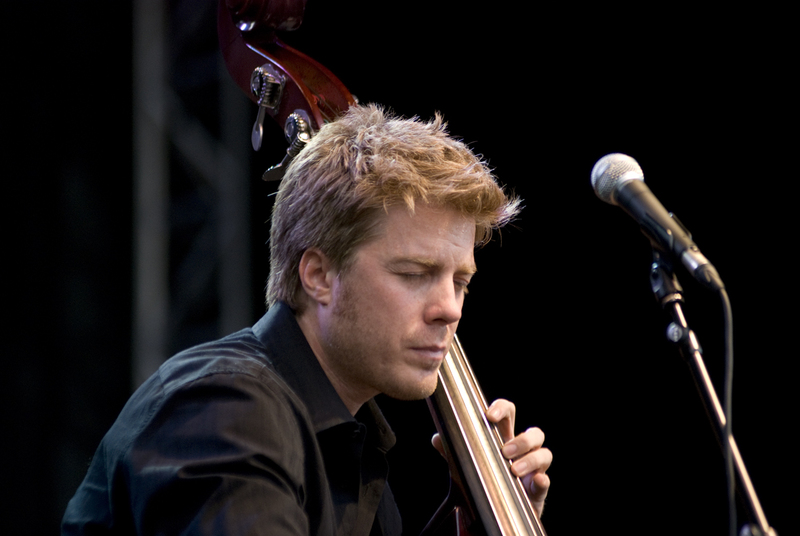 Friday night’s headliner was Kyle Eastwood, replete with his four-strong band of brothers, who brought a host of invigorating covers and original compositions to the Isle of Wight’s increasingly creative seaside resort. The eldest son of legendary film actor/director/producer Clint Eastwood, the frontman has happily sidestepped lazy, convenient and misguided aspersions of a nepotistic bunk up since his emergence on the jazz scene in 1990, with his brand of blues, bebop and boogie ensuring escalating acclaim over the course of 24 years and six studio albums. An addictive riff and high-tempo instantly guaranteed that one of the band’s newer tracks, ‘A Night In Senegal’ was well received – Martyn Kaine’s cartilage-juddering percussion rattled the awning, as Eastwood traded his double-bass for a lesser-seen lime green electric guitar. There was still time for the saccharine dusted ‘Letters From Iwo Jima,’ soundtrack to Eastwood senior’s movie of the same name, which commenced unobtrusively via the gentle chimes of Andrew McCormack on the piano and gripping strains of bass guitar courtesy of Eastwood, now on his third different instrument. As folk filtered away from the venue, one thing remained crystal clear amongst the gabble – a collective spike in energy, created by the joyful chalk pit of lustrous offbeat melody played out before fans old and new. 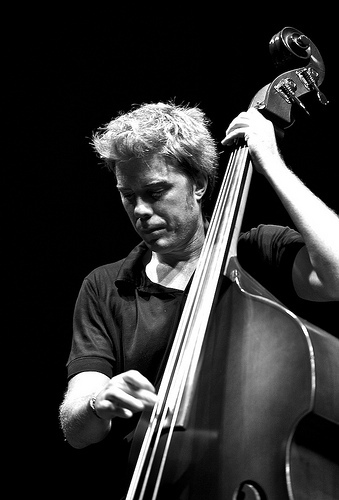 Kyle Eastwood and his band continue to evolve apace, providing a rush of adrenalin to those fortunate enough to witness their live act. It seems implausible to feel burdened after being graced by their captivating brand of calypso-jazz.